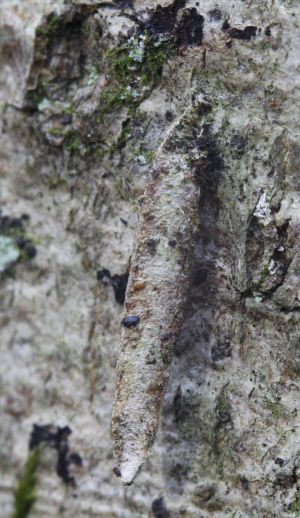 Observation - bark beastie - UK and Ireland. Description: This was about the size and shape of a beech bud and sticking out about chest height on a beech tree. I am assuming it is some kind of invertebrate inside as it was softish not hard like a bit of the tree. This was about the size and shape of a beech bud and sticking out about chest height on a beech tree. I am assuming it is some kind of invertebrate inside as it was softish not hard like a bit of the tree.